If you are looking for the start of our blog hop, go HERE. The hop ends on 4/29/15. Flowers, flowers, flowers, I so love thee. 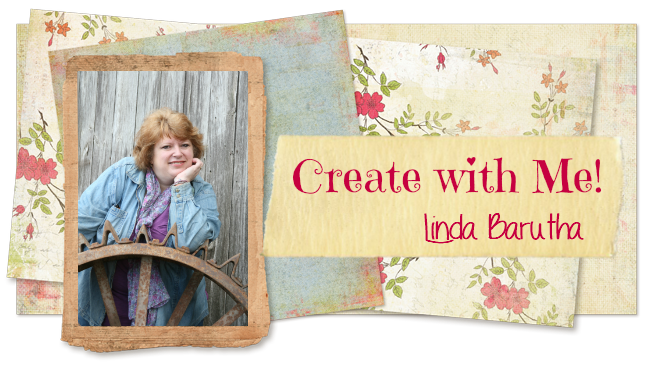 Hi it's Ann from the Design Team here at Linnie Blooms and also from the blog: Annmakes. Spring has finally arrived and I look forward to gardening. In the mean time I am making some cards with flowers as my inspiration. 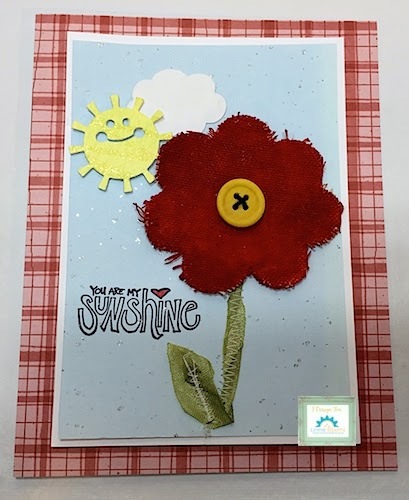 To make this card I coloured the Linnie Blooms Canvas flower with some water colour paints in a "Poppy Red". The canvas takes the paint very well and retained the shimmering of the metallic paint. The stem of the flower was made by sewing the Green Shabby trim (Linnie Blooms) in the zig zag stitch on the sewing machine straight onto the paper, before adhering to the next layers and then to the card. The centre of the flower was made by hand sewing on a button with some embroidery floss. The sun and clouds were made from card stock and some steel dies. I also used some dimensional glue dots to give the sun dimension. The sentiment was stamped on and coloured. To view my other projects and ideas please visit my blog at http://annmakes.blogspot.com.